Please contact me if you have any questions or need a different size. 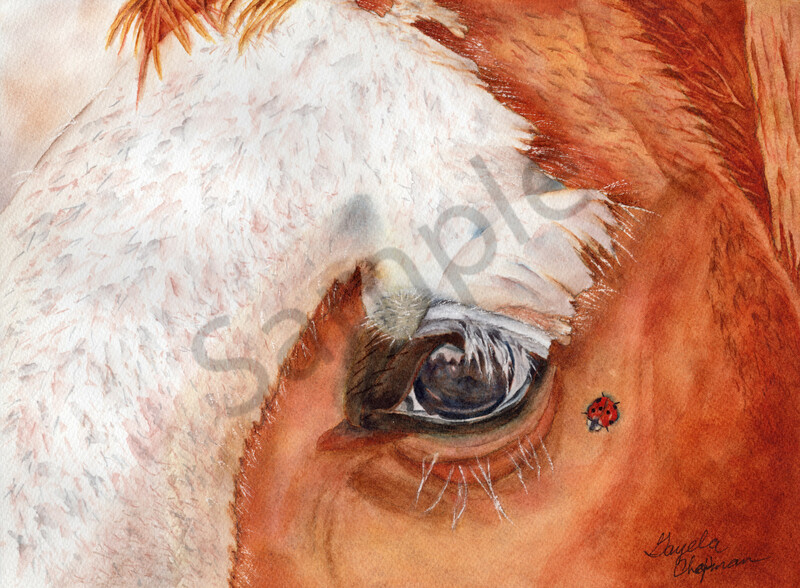 This painting is of a ladybug on Ronnie's eye. I have always wanted to paint the eye of a horse, so since I am doing a series of him I decided to paint his eye. How I came up with the name for this painting is the horse means freedom and the ladybug means blessings. I feel like Ronnie was such a free spirit and he has true freedom now and he had blessed me in so many ways. This is the fourth painting of "Ronnie's Tribute Series."